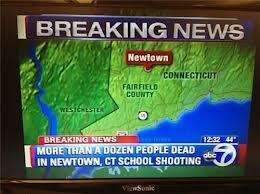 Today in Newtown, CT 28 people are dead, 20 of them children who attended the Sandy Hook Elementary School. If the murder rate in Philadelphia stays on pace, there will 3-4 more young people in Philadelphia dead before the end of the weekend due to gun violence. The same will be true for communities all over the country. As the newscasters were reporting the Connecticut tragedy, one reporter asked rhetorically: how do we make sense of the senseless? Whenever I hear of another gun-related killing, and especially when there is a high profile shooting like we have had recently in Oregon and now in Connecticut, I think of the line from Bob Dylan’s classic, “Blowin’ in the Wind” – how many deaths will it take ‘til he knows that too many people have died? The pattern is the same: a horrible shooting occurs, the reporters swarm on the scene, tears are shed, incredulity is expressed, and yet nothing is said about the all-too-ready–availability of guns. President Obama sheds a tear and hugs his beautiful daughters, but will he and the Congress take up the issue of America’s fanatical addiction to guns. Whether it’s Trayvon Martin or holiday shoppers in Oregon or twenty elementary children, there is one thing that could have prevented all the senseless deaths: gun laws that make it difficult for the average person to buy guns and then carry them in public. It is not that complicated to figure out, but extremely complicated to get that simple idea into the political discussion. No doubt there will be those in the NRA, Gun Owners of America, and other pro-gun groups who will make the argument that this incident shows that we need more guns, that if there had been teachers in that school with guns, maybe Adam Lanza would not have killed the children. They will make that argument even though it does not stand up to the evidence. Gabby Giffords had trained guards around her and there were armed guards in the Portland shopping mall. They did not stop the killers in those situations. This is the false and dangerous logic that the gun lobby continues to sell to the public and our leaders, and IT IS A LIE. Former NRA executive Warren Cassidy said that the best way to understand the NRA is “approaching [members of the NRA] as if they were a religion.” His words not mine. 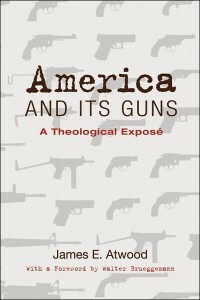 To suggest that guns themselves might be part of the problem is heresy in the holy temple of the gun. However, if we want to make sense of the senseless, this is where we must start. I ask that you join me in contacting legislators at local, state and federal levels and demanding that the issue of gun ownership and the carrying of guns be put up for serious discussion. I did just that after the Aurora, CO shooting and got NRA sponsored clichés from both Democrats and Republicans except for my Republican state representative who agreed with the need to pass more restrictive legislation. We dare not give up. We are approaching the “tipping point”; change will begin to come when enough of us raise our voices enough times to finally drown out the senseless voices that continue to protect the “right to bear arms” at any cost, even the cost of innocent children.